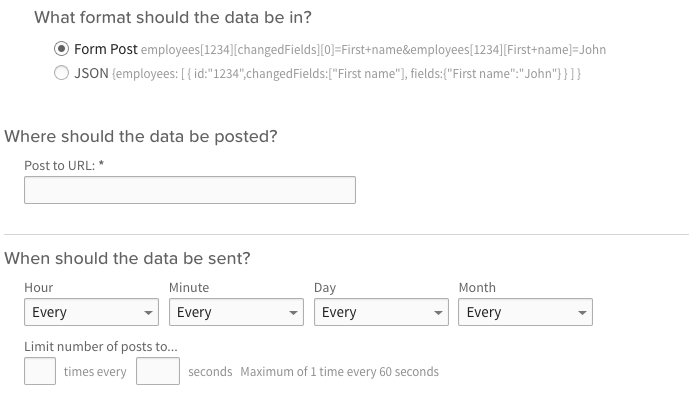 BambooHR Real-time pushes any user changes made in BambooHR, to OneLogin, at regular intervals. 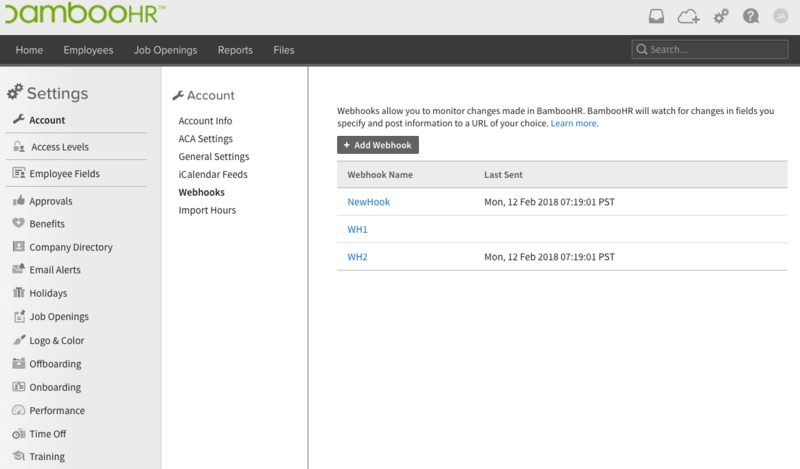 Administrators can manage users in BambooHR and these changes automatically populate to OneLogin. Note: It's necessary to set up BambooHR directory connector prior to configuring Real-time. Log in to BambooHR as an administrator. 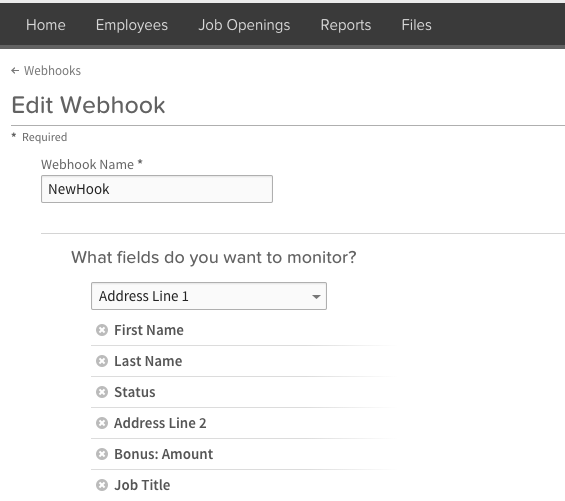 Name the webhook and define the fields you want to monitor by selecting them from the dropdown menu. 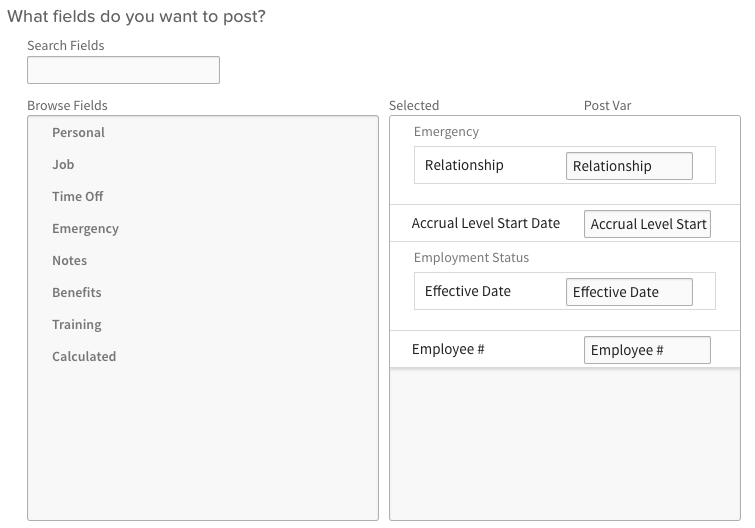 Note: The status field must be selected, or BambooHR won't send notifications indicating user status changes. Scroll down to "What fields do you want to post?" Select the fields you want to export to OneLogin. OneLogin imports all mapped user fields. Note: One field must be selected or webhooks will fail. Go to Users>Directories>BambooHR Directory. Scroll to the bottom and copy the Real-time updates URL. Return to your BambooHR account page on the Bamboo website. Paste the URL you copied in the step above into Where should the data be posted? field. Scroll down and save the webook.